Launch Your Creative Bizz like a BOSS! Students will walk away with the tools they need to launch their creative business. They will feel armed, inspired, motivated and ready to make their idea a reality, and take their business to the next level. Jaharn Giles is an educator and the founder of Your Creative Start, a creative consultancy agency based on the Sunshine Coast, Australia. It’s her purpose to help creatives get started, launch their brands and become known for their something. Your Creative Start specialises in social media, branding, and website design and development. Whether you’re a start-up creative looking to launch your brand, or you’re already established and in need of strategic direction and motivation, Your Creative Start can help inspire, motivate, shape and communicate your story. Jaharn has over twelve years’ experience in digital marketing, public relations, design and social media in Australia and the UK. She also has a popular business podcast called Your Creative Start, where she tackles the topics creatives want to hear about the most, including getting started, dealing with self-doubt, becoming your own boss, what to do in a creativity rut, learning from mistakes, and more. She also interviews creatives about how they got started, the lessns they’ve learned along the way, and asks them to share wisdom bombs, actionable advice and practical tips so her listeners feel inspired and motivated in their own business and life. With four podcast seasons under her belt, her podcast has received over 150,000 unique plays and is listened to people all around the world. She also is a successful travel blogger and has a travel blog Mister Weekender, which has allowed her to travel the world and she has seen her Instagram community grow to over 60,000 followers. Follow her travels here at @misterweekender and be inspired to explore the world. She launched Your Creative Start in 2016 when she realised her own expertise and experiences were helping other likeminded creatives launch their own businesses. 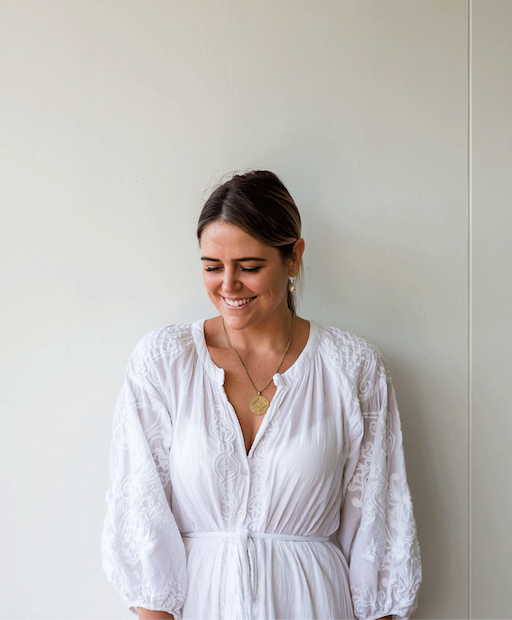 With her infectious energy and enthusiasm, she can be found creating digital and social media strategies for creative brands, recording and interviewing creatives for her podcast, hosting workshops and speaking at events around Australia, coaching creatives to better share and sell what they are best at, and putting the final touches on her newly built beach house.